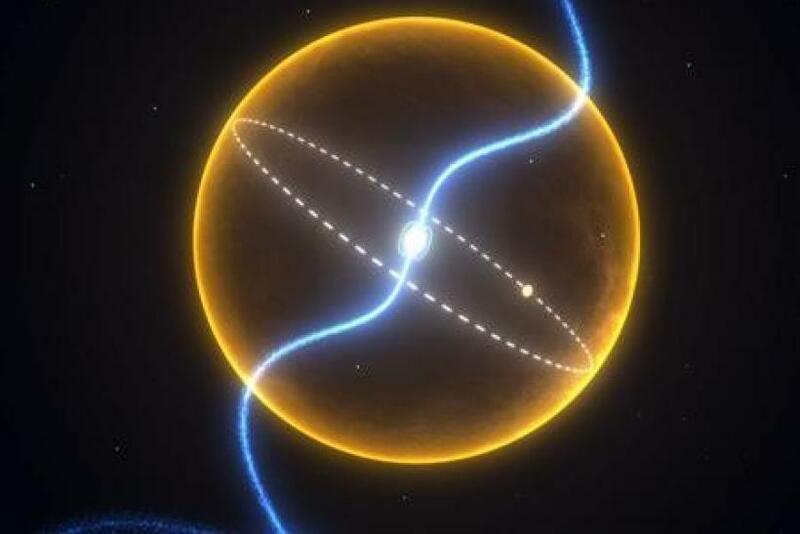 Scientists at the University of Manchester have found a rare planet that seems to be made of diamond, orbiting a pulsar about 4,000 light years from Earth. A diamond forms when carbon is put under immense pressure. The new planet is far denser than any other known so far and consists largely of carbon. So scientists speculate that the conditions are right for the carbon within it to be crystallized and believe it to be completely made of diamond. The study was led by Professor Matthew Bailes of Swinburne University of Technology in Australia and published in the journal Science. The evolutionary history and amazing density of the planet all suggest it is comprised of carbon -- i.e. a massive diamond orbiting a neutron star every two hours in an orbit so tight it would fit inside our own sun, said Bailes. The international research team first detected an unusual star called a pulsar, a tiny dead neutron star that spins around hundreds of times a second and emits beams of radiation. Irregular movements in the beams clued scientists in that there was a companion planet orbiting the pulsar, which then led them to the diamond planet. Astronomers said only two of the 1,800 known pulsars concealed planets and it is the first diamond planet ever seen. The scientists' measurements indicate that the planet measures up to 60,000 km across, is about five times the Earth's diameter and about 300 times heavier. It is believed to be the remnant of a once-massive star that lost its outer layers to the pulsar it orbits, leaving behind the crystallized core. The new planet is also likely to have oxygen as well as carbon. The planet's high density suggests that lighter elements like hydrogen and helium are not present. This confluence of extraordinary factors led the researchers to believe they had stumbled across something unprecedented. Researchers involved were not certain what the planet would look like up close. In terms of what it would look like, I don't know I could even speculate. I don't imagine that a picture of a very shiny object is what we're looking at here,” said Ben Stappers of the University of Manchester, Reuters reported.